The third installment of the successful Pirates of the Caribbean Franchise was eagerly awaited by its millions of fans who must have been mighty anxious to know the fate of Captain Jack Sparrow and his rugged mates. It must be remembered that the swaggering Captain Sparrow was last seen getting swallowed by the abominable Kraken at the end of the previous edition of the franchise. We also saw that Jack’s ‘Friends’ were getting ready to go to The World’s End with the help of the resurrected Captain Barbossa to bring him back. The third edition is just a continuation of those events. The movie starts off by showing us what had happened after the East India Company, led by Lord Cutler Beckett, took full control of Davy Jones’ heart and thereby the world’s oceans. We see that the pirates of the world, young and old, men and women, are all being rounded up and hanged at the gallows. There is no denying that times are tough for anyone who is a pirate. In response to Beckett’s assault, the nine pirate lords comprising the Brethren Court have been summoned to convene at Shipwreck Cove. However, the absent Jack Sparrow, pirate lord of the Caribbean, is without a successor, and therefore must be present. Captain Barbossa leads Will, Elizabeth, Tia Dalma and the Black Pearl crew to retrieve Jack from Davy Jones' Locker. However to reach there they need the navigational charts that are in the possession of the Pirate Lord of Singapore, Sao Feng. 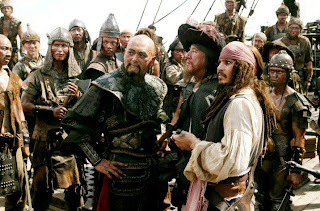 Although initially reluctant to help them, Feng finally gives in when Will strikes a secret deal with him where he promises to give Feng Captain Jack Sparrow in exchange for the Black Pearl. Feng intends to barter Sparrow for his freedom with Beckett while Will intends to trade the Black Pearl for his father’s freedom from Davy Jones’ hands. The crew then sails through tough conditions eventually sailing over an enormous waterfall into the locker where Jack is aboard the Black Pearl. There it is seen that in his lonesome state Jack had begun to hallucinate. He is however taken aback when a swarm of crab-like creatures drag the Pearl to an ocean shore where he is reunited with his shipmates. 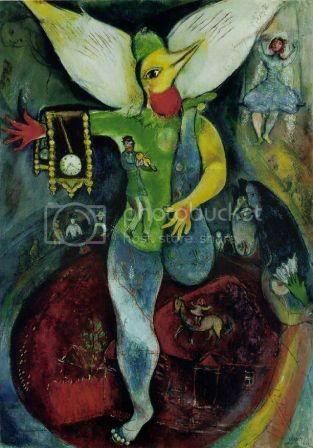 Initially he believes that he is hallucinating again. But when he realizes that they are indeed real, he hesitates from joining a crew where most of the members either tried to kill him or mutiny against him. He eventually gives in and what adventures await him and the rest of the major characters of the franchisee form the rest of the movie. Most of the cast does a creditable job in the movie with the sole exception of Orlando Bloom. It is indeed refreshing to see Geoffrey Rush back in the franchisee. 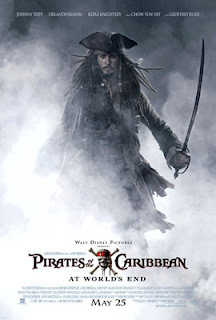 His Barbossa is needed to challenge the acting prowess of Jonny Depp as Captain Jack Sparrow. The two together bring the kind of rivalry and chemistry that was sorely missing in the second edition. The scene stealer though is Keith Richards in a cameo as the Keeper of the code for the Brethren Court. He is also the father of Captain Jack Sparrow. The visual effects are great in this movie and provide the needed elements to give this movie the thrill ride effect that it required. The action sequences are well choreographed and the CGI is stunning. It was fun to watch the climatic battle scenes. The battle scenes and the various duels were suitably impressive. Having said that, the makers of the movie seemed to be stretching the adventure angle a bit when they chose to get Will and Elizabeth married off in the middle of the climatic battle aboard the ship. It just didn’t make any sense and neither did the crab sequence earlier on, but then again this movie wasn’t intended to make sense in the first place. Maybe that’s why the movie had such a convoluted plot. Each of the main characters indulges in double crosses against one another. There are just too many meetings happening in the movie where everyone involved doesn’t trust others participating in the meeting. Each of the members pursues their own goals and interests. This is all fine as we are dealing with pirates here. But did it really have to be so complex that everyone who watched it would be left confused about what exactly was going on in the movie. If it was intentional then I must say that the writers outdid themselves, maybe a bit too much. But then again who cares right? Most of the fans come to watch Depp and the rollicking ride that the franchisee provides. So just hang on and enjoy the ride and you will enjoy it even more if you don’t pay too much attention to the plot. Although I'm yet to see it, I'm looking forward to seeing Chow Yun-Fat the most! Also, I just wanted to say thanks for the comment on my blog! Even though I skimmed some of the plot explanations here, (because i like surprises and like I said, I'm so understanding Johnny's hotness...I mean the complex plot!) reading this has made me antsy to go to the theater. thaks for your visit in my blog. and also thanks for posting comment on my blog ! I’ve seen this movie yesterday and I must say I was a little disappointed with Will’s death but then he resurrected lol. I think the director spend too much time with all those fight scenes but it’s always fun to watch Johnny Depp once again. I watched the movie with my frients in the premiere. We have a post about Pirates of Caribbean At World's End in our blog but in greek. "Nice post, its a really cool blog that you have here, keep up the good work, will be back"
Thnx for your nice comment on my blog !! Glad you stopped by so I could find your blog. My son loves all things Jack Sparrow!